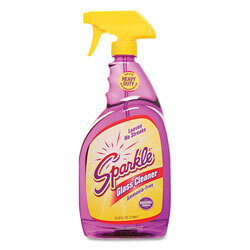 Unique, purple formula removes tough grease and grime without streaking. Alcohol- and ammonia-free solution is perfect for use on a variety of surfaces, including: windows, mirrors, Plexiglas, chrome, tile, aquariums, bathroom fixtures, stainless steel and microwave ovens. 33.8 oz. Glass Cleaners from A J Funk And Company! 526 In Stock today.